Ayami Tyndall is an author and computer systems manager living in California. Fascinated by technology, he is a life-long student and avid reader. He writes to explore how our own inventions reshape us and our world. After the Armageddon, Cloud was formed. Anyone can see what you do at any time, with or without your permission. There are no secrets. Cloud records everything and everyone… or so they thought, because there are unverifiables or what some people would call ghosts. They are humans and you can talk and interact with them, just like anyone, but they don’t really exist. At least not in the Cloud. The ghosts are a secret and they intend to stay that way until one day, Virginia Crossroad-Marcus bumps into one. With the help of her friend Merv and his app Sophia, Virginia decides to investigate this anomaly. Secrets are unraveled and lies are exposed. 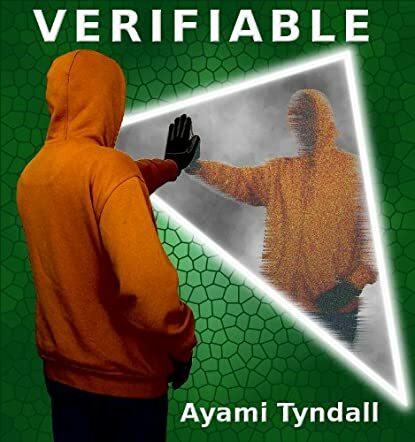 Verify the truth in Ayami Tyndall’s science fiction novel Verifiable. I was confused for the first few chapters, but then as I read on, everything started to make sense and everything fell into place beautifully. There were lots of twists and surprises along the way; some were really shocking but they felt right. Ayami Tyndall really thought about and planned the plot of this book. The development of the characters and the story was just amazing. I haven’t read many sci-fi books but I can say this is one of the best. This is a book that will stay with me for a long time after reading it and might be a benchmark when I read other books like it in the future. The idea of Verifiable, where everyone knows your business is scary, but hopefully we are a long way from that happening.